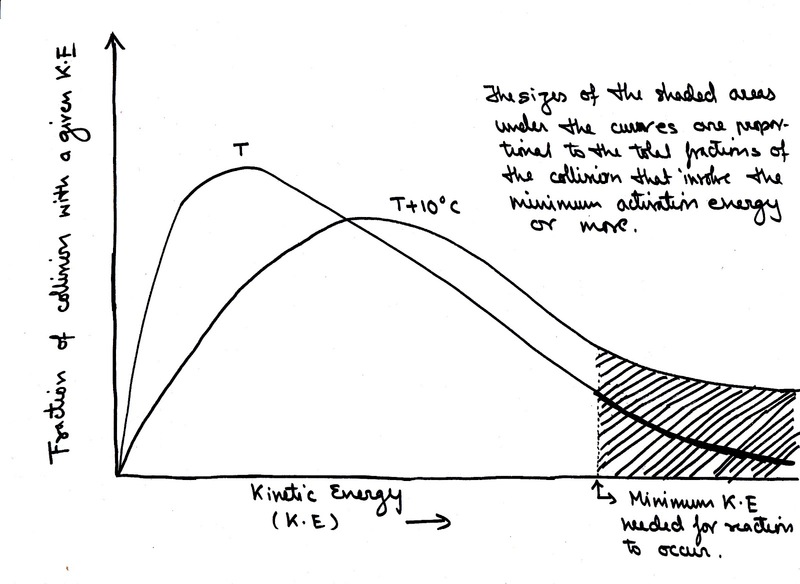 Therefore, the effect of the temperature on the rate of reaction can be determined by the shape of the graph. In theory, the reaction rate rises exponentially with temperature since for a 10°C temperature rise, the rate of reaction doubles roughly.... A demonstration has been developed which nicely illustrates the temperature effect on reaction rates and the general rule relating temperature increases with rate increases. The last factor that increases rate of reaction is the surface area. Grinding up the magnesium into a powder increases the surface area, so the acid has more space to react on.